Montreal Canadiens forward Zack Kassian has been placed in Stage Two of the NHL/NHLPA Substance Abuse and Behavioral Health Program, both the league and the PA announced Monday afternoon. The news comes shortly after Kassian was the passenger in a car accident at around 6 a.m. ET Sunday. On Monday, Montreal Canadiens general manager Marc Bergevin said Kassian broke his nose and left foot in the crash. On NHL-NHLPA program (Kassian), Stage 1 can be voluntary or mandatory depending on circumstances but there is rarely public acknowledgement. There is always public acknowledgment of Stage 2 because the player is suspended without pay. Once in Stage 2, only doctors can reinstate. Montreal acquired Kassian in July for a trade that sent Brandon Prust and a 2016 fifth-round draft pick to the Vancouver Canucks. 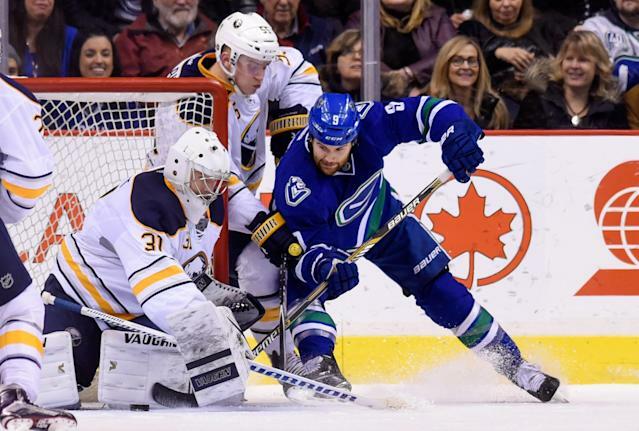 Kassian was the 13th overall pick in the 2009 NHL draft, selected by the Buffalo Sabres. He has scored 66 points in 198 games over his NHL career.